Limones in downtown Asheville is a small, intimate restaurant serving modern Californian Mexican Cuisine or what the restaurant calls “traditional Mexican cuisine with modern sensibility.” In other words, traditional favorites – tacos, fajitas, rollenos, nachos, and more – with a twist: mango salsa, crispy shallots, tomato confit, heirloom tomato-radish salad, avocado tartare, or basil corn relish. At first glance, the menu appears to have no vegan options but hold tight, because the chef will work his magic if you ask. Request the Roasted Beet Salad made with beets, watermelon, mint, aged cider-cardamom vinaigrette, but without the cheese and then ask if the chef can make a plant-based dish of his choice. You won’t regret putting your dinner fate in his hands. In fact, you will probably be the envy of the table. 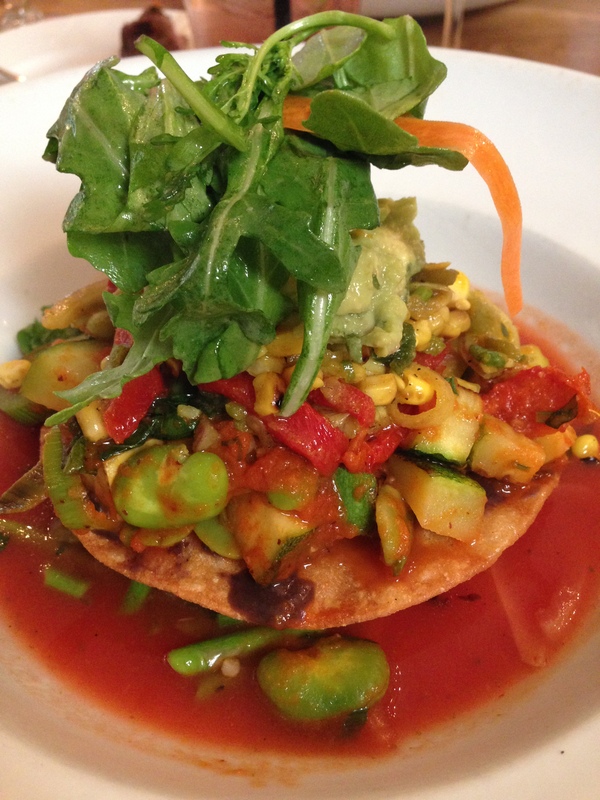 When my entrée – a plate of roasted vegetables in a salsa verde topped with a tortilla piled high with more vegetables and beans, guacamole, and a cilantro slaw – arrived, everyone wanted what I was having. 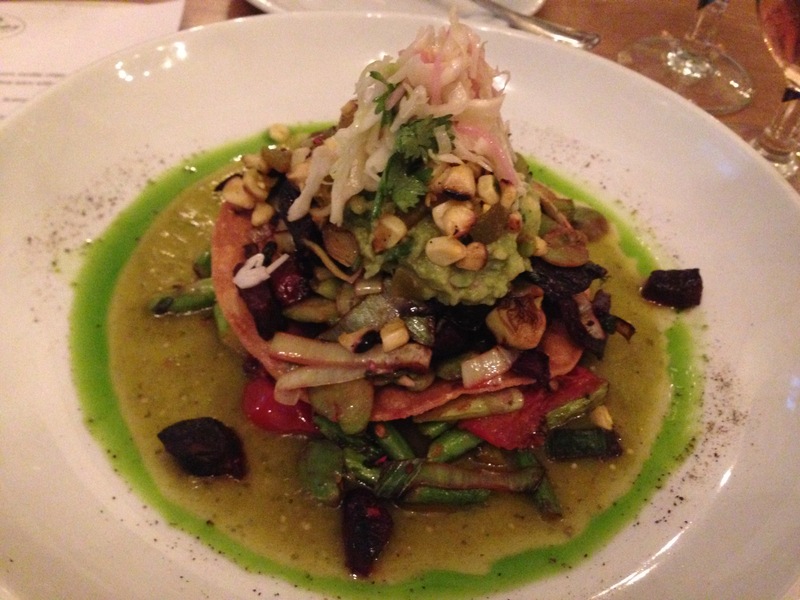 On another visit, the chef made an equally delicious entrée – asparagus, fava beans, corn, and onions in a light tomato sauce topped with a crispy tortilla that was covered in roasted vegetables and topped with fresh guacamole and greens. Spectacular presentation and totally delicious. Hours: Sunday: 10 am – 10:30 pm, Monday closed; Tuesday – Thursday: 11:30 am – 10:30 pm, Friday: 11:30 am – 11 pm, Saturday: 10 am – 11 pm. Stand Outs: The patatas bravas (without the crema), and both the spinach and beet salads are outstanding. 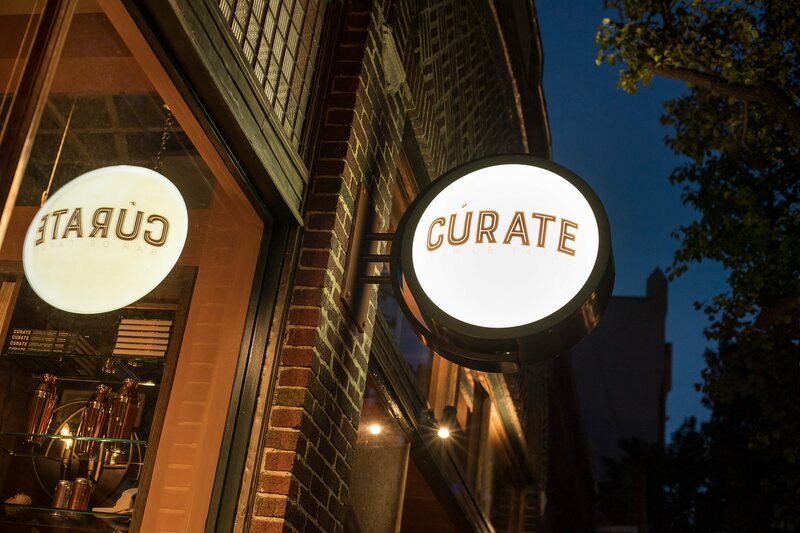 Cúrate (coo-rah-tay) is considered by many to be the finest restaurant in Asheville and it very well may be. A large Spanish restaurant that specializes in small servings of traditional favorites, Cúrate is very accommodating when it comes to vegan dining and is open all day long so if you can’t get a reservation at a traditional meal time, consider having a late lunch or dinner early, or grab a seat at the bar and enjoy a fine meal. 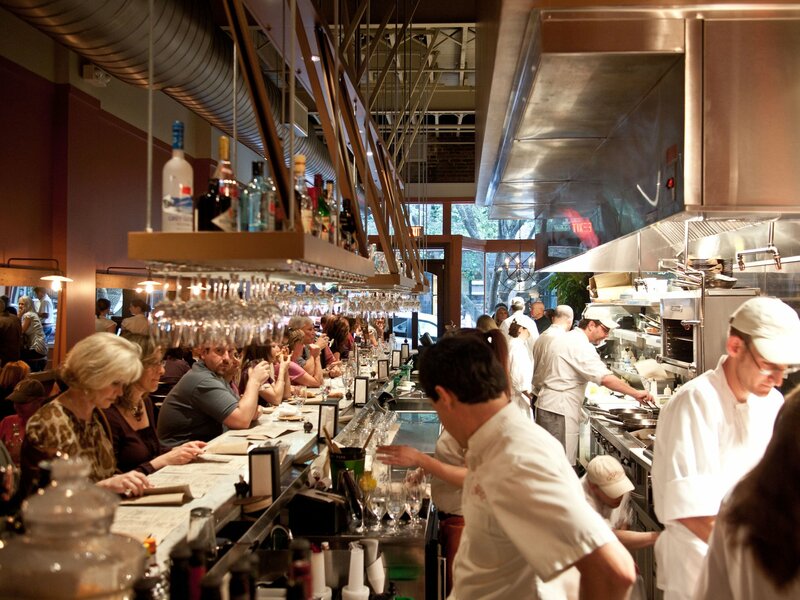 The restaurant is vibrant, busy, and provides excellent service. Start with patatas (potatoes) bravas – roasted potatoes with a slightly spicy tomato and garlic sauce (either poured over or on the side, hold the crema) and then continue on to a salad (the beet or spinach salad served in season, if available) or the grilled asparagus (without the cheese). the migas (a traditional Spanish bread crumb side dish on the menu in the colder months) and the paella with vegetables. The servings are small so plan on ordering 3-4 dishes. The menu shows vegan options and changes slightly with the seasons. 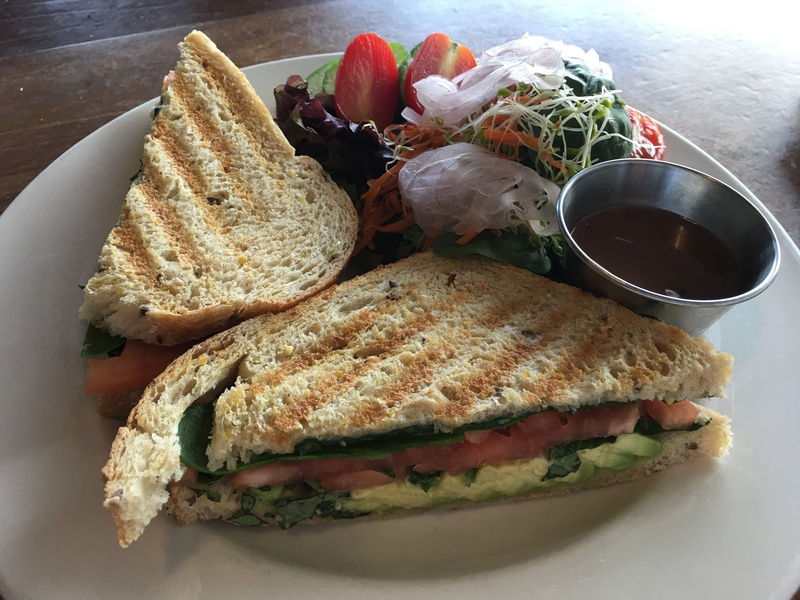 Stand Outs: Green Sage Cafe offers many vegan and often, organic options at very affordable prices. Green Sage Cafe refers to itself as “Asheville’s Healthy Restaurant” and they certainly do provide nourishing (and mostly organic) food to their clients. With three locations in Asheville (downtown, South Asheville, and West Asheville), the Green Sage Cafe has a presence all over the city. The menu includes an extensive selection of coffee, tea, fresh pressed juices, smoothies, milk shakes, and beer and wine along with breakfast bowls and sandwiches, brunch plates, wraps (try the Rainbow – spicy or regular hummus, avocado, kale slaw, cucumbers, carrots, beets, and tomatoes on a regular tortilla or a collard green), and the trendy avocado toast. There’s also the very popular Green Beetle – a beet burger with all the fixins’ wrapped in a steamed collard green – or the Falafel Burger. Salads are plentiful with four vegan options (Kaleafornia, Citrus Kale, Chop Chop, and the Sagehouse). 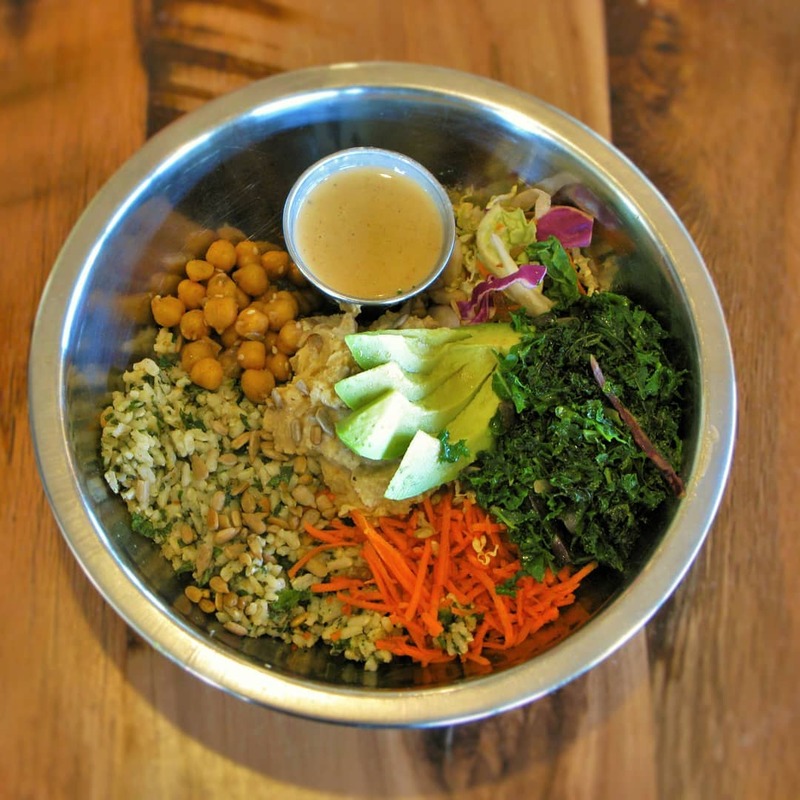 And, for those who want to enjoy a rice bowl, consider the Buddha Bowl: chick peas or regular or spicy hummus, brown rice tabbouleh, kale slaw, carrots, avocado, chick peas, cabbage, and sunflower seeds with a lemon tahini sauce. Stand Outs: The Avo Melt (without the Melt) on grilled multigrain bread is outstanding. City Bakery has been supplying Asheville with great bread for nearly 20 years. 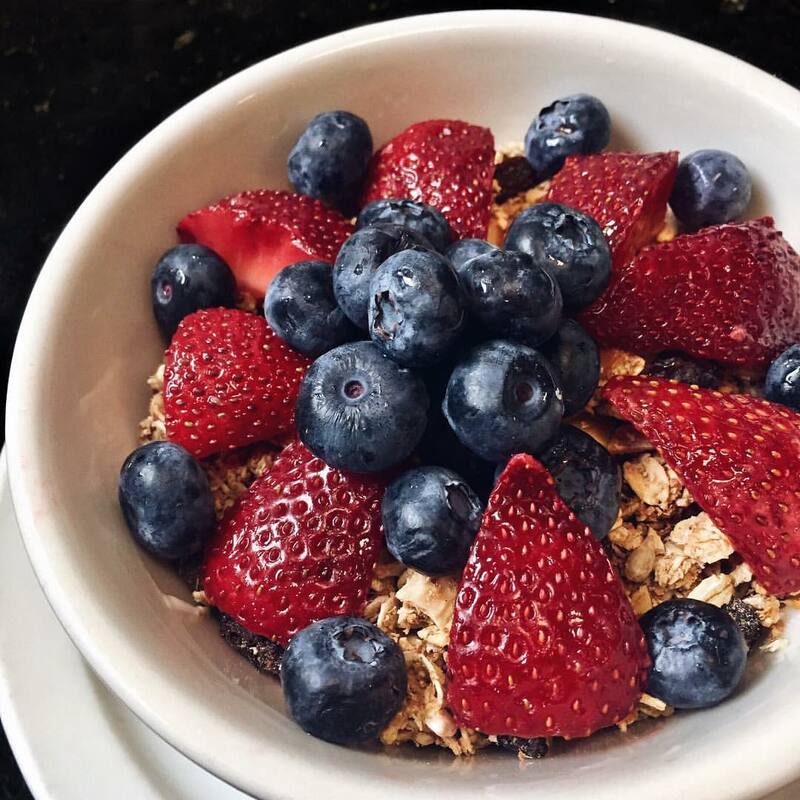 With two locations in the city limits – one downtown and the other in North Asheville – City Bakery Cafe is not only the place to buy fresh bread, but also the place to have a delicious breakfast, snack, or lunch. 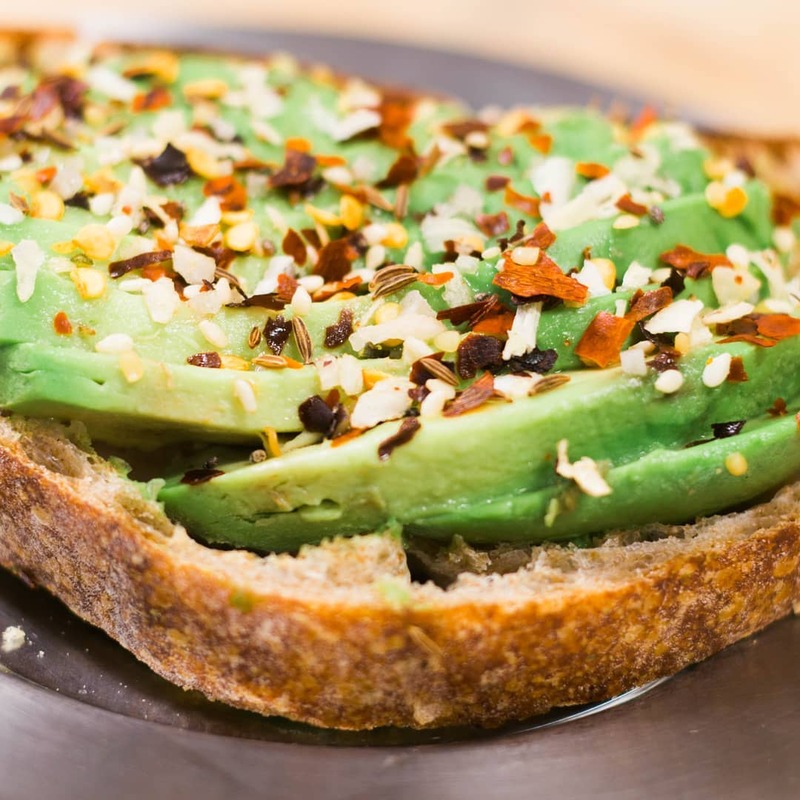 Try the granola bowl with fresh fruit and almond milk, the acai bowl without the honey, the Asian BBQ Tempeh Sandwich, the avocado toast, or my favorite, the Avo Melt – sliced avocado, tomato, spinach, and fresh basil on grilled multigrain bread – without the melt (goat cheese) with a side of green salad (instead of the potato chips) with the house balsamic vinaigrette. 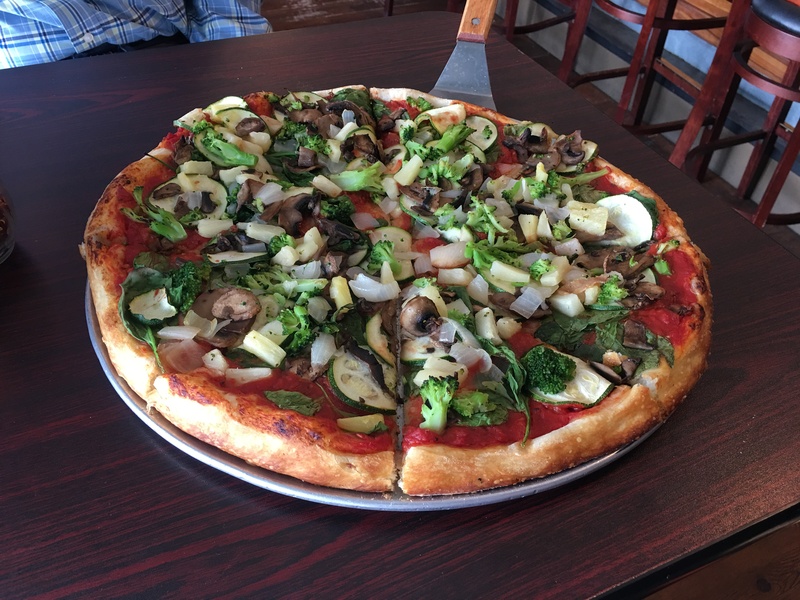 Del Vecchios has been around for 22 years and is the highest rated pizza place in Asheville according to many websites so its worth a visit (or two!). Located in a small shopping center in the north part of the city, Del Vecchios looks like an old-fashioned pizza joint with a few tables and counter seating for those who want to dine in (they also deliver). Del Vecchios really does make one amazing pizza for vegans. 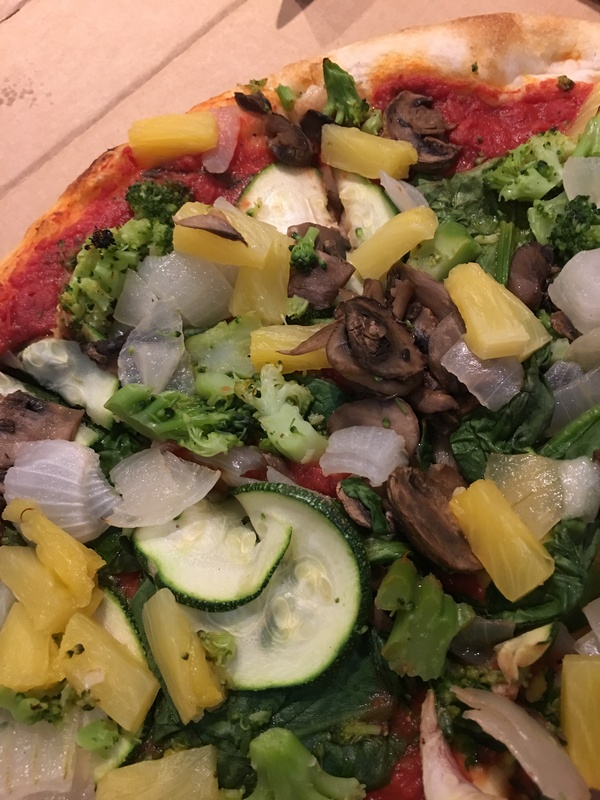 They happily hold the cheese (and have vegan cheese for those who want a cheese alternative) and will customize a pizza with almost anything. 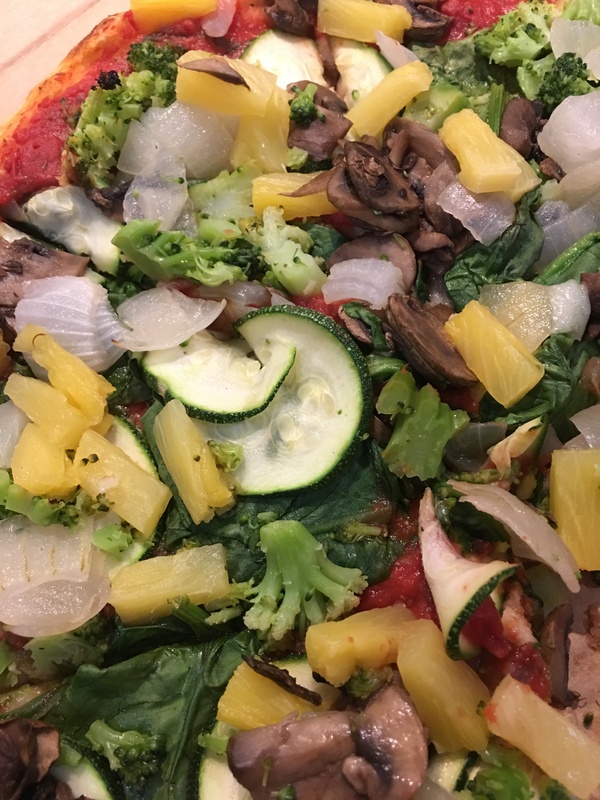 My typical 14-inch pizza has fresh broccoli florets, fresh spinach leaves, freshly mandolin-sliced zucchini, mushrooms, onions, and pineapple but there are also olives, peppers, tomatoes, basil, sun dried tomatoes, artichoke hearts and fresh garlic that can be added. The 14 inch pizza (8 slices) is enough to feed 3 people while the 18 inch can easily feed 4-5 hungry diners but if there are leftovers, bring the pizza home, refrigerate and heat the slices up the next day. Piled high with toppings and not greasy at all, the pizza at Del Vecchios is just plain excellent. Sicilian and Chicago crust options are also available. Vegans can also choose calzones and strombolis with their choice of ingredients.